TONY Abbott says we're showing respect for indigenous culture at the expense of acknowledging Australia's Christian roots. The former prime minister argued Christian prayer should have as great a role in public ceremonies as "welcome to country" rituals, which acknowledge the traditional Aboriginal and Torres Straight Islander owners of Australian land. 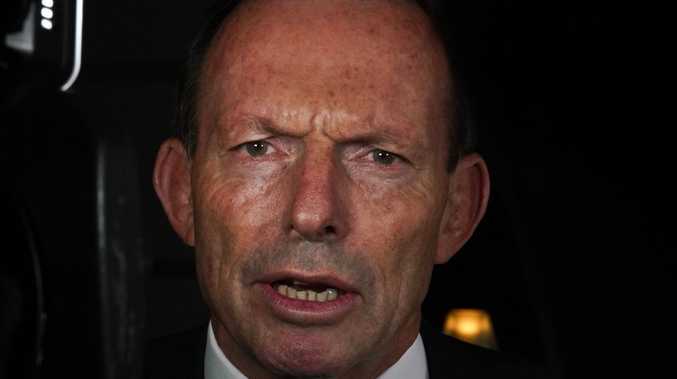 Mr Abbott also wants to see more Christian gospel stories taught in our schools. The Warringah Liberal MP, who is the Prime Minister's special envoy for indigenous affairs, made the comments today at the launch of Dr Kevin Donnelly's new book, How Political Correctness is Destroying Education and Your Child's Future. Mr Abbott made reference to the opening of the new Northern Beaches Hospital yesterday and complained that too many of the speakers paid respects to the traditional owners of the land before starting their speeches. "There wasn't one single prayer, even though our society is unimaginable without the influence of Christianity," he said. He said Western society was based on all people being created equal, and justice was built on the biblical principle "Do unto others as you would have them do unto you". "I'm not against acknowledging country; there are many circumstances where it's entirely right and proper," he said when questioned on his remark. But he said there was nothing in the Western world that wasn't inspired by the gospel. He said "thank God" Australia had not dumped prayer from parliament. 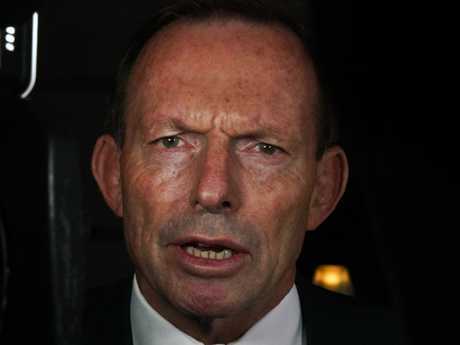 "This is essential to our culture, we should never forget that," Mr Abbott said. "I certainly would welcome (more prayer); I'm not saying it should be compulsory." 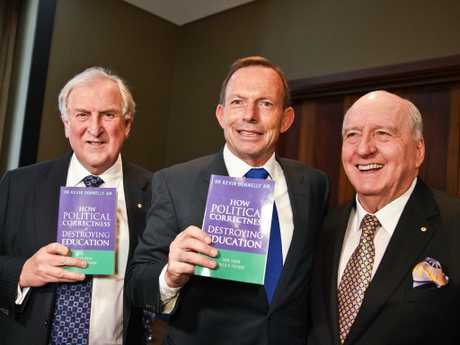 Dr Donnelly's book addresses how political correctness has undermined and weakened Australia's education system. Dr Donnelly argues that "instead of an academically rigorous curriculum, subjects have been dumbed down and taught through a politically correct prism involving Asian, indigenous and environmental perspectives". Mr Abbott asked if these were really the top three priorities that should permeate every aspect of our curriculum. The former Liberal leader said learning about playwright William Shakespeare and the narrative histories of the West was the background to all Australians' lives. "If you can't read, write, count and think, our schools are not doing their jobs," he said. "But it's not enough … there needs to be an essential cultural literacy that everyone coming through Australian culture should have - and that needs to be a familiarity with gospel stories. "This is not a question of trying to ram religious faith down people's throats, it's about giving people an understanding of culture." Mr Donnelly then ended the discussion about prayer by quipping: "We should be making sure it kosher, to mix the metaphors." He then jokingly apologised if he offended any Jewish people in the room.